Not only that, Lorna, but Cagney seems to be very possessive of Robinson and doesn't like the women Robinson dates. At one point Robinson even asks sarcastically if Cagney wants to be his girlfriend. That being said, Cagney doesn't have much screen time. Robinson is front and center all the time, playing a small-town guy who wants to compete with the big gamblers in the big city. If you like EGR, it's an entertaining film, nicely directed. THAT is one of the best (and underrated) films from Brando. It was also shot mainly in Canada too. D-MN. How did I miss this? I love that movie! 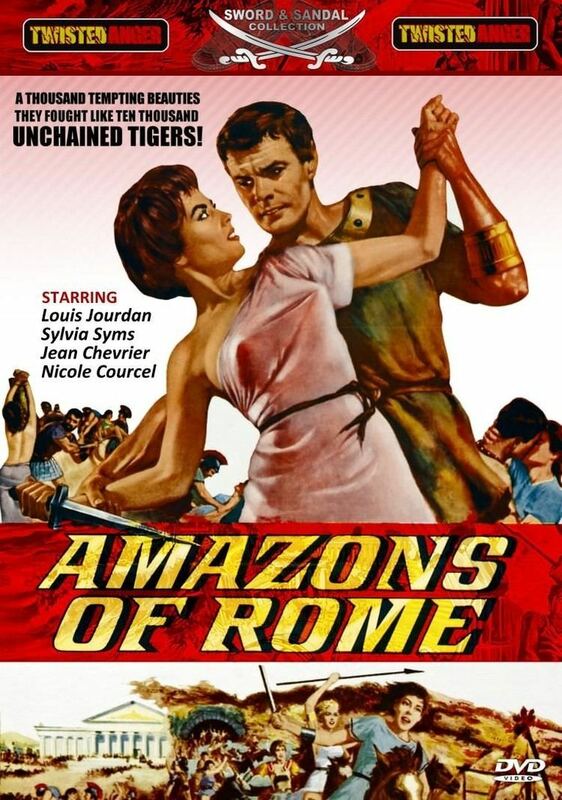 4:30 a.m. Amazons of Rome (1963). I wouldn’t mind seeing this for historical interest. Louis Jourdan in a loincloth? I'd tune in for that! I seriously doubt there is any "historical" value to it. On the other hand, entertainment value could be high. Recommended viewing for Friday evening: King Rat. I know, what a surprise. A prison camp movie where there is no chance of escape. By the way, the very large set was created in the LA area, and perhaps should have won the Oscar for set and art direction among B&W films. Bryan Forbes wanted old-school cinematographer Burnett Guffey rather than younger and more fashionable choices. Forbes' screenplay improves on James Clavell's novel, and, a former actor himself, he always knows how to direct actors. George Segal and James Fox in the lead roles are exceptionally good, but the whole cast is strong. Speaking of Forbes as a director of actors: if you've seen Kim Stanley chew the scenery and do tons of Method shtick in The Goddess, you'll be surprised by the strong, unmannered performance Forbes gets from her in Seance on a Wet Afternoon. Richard Attenborough, as Stanley henpecked husband, is outstanding as usual. Kim Stanley should have won the Best Actress Oscar for Seance on a Wet Afternoon. The award went to Julie Andrews for Mary Poppins. 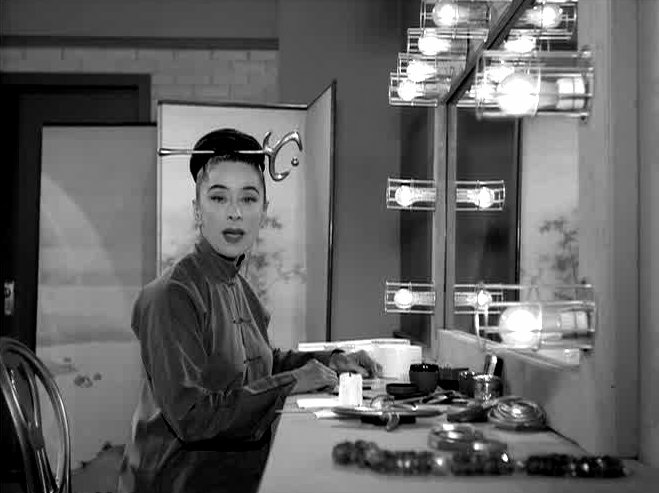 Ms. Stanley's career on Broadway includes leading roles in the original productions of Bus Stop, Picnic, A Touch of the Poet, and The House of Bernarda Alba. 9:30 a.m. Flash Gordon Conquers the Universe: Freezing Torture (1940). Episode Two. 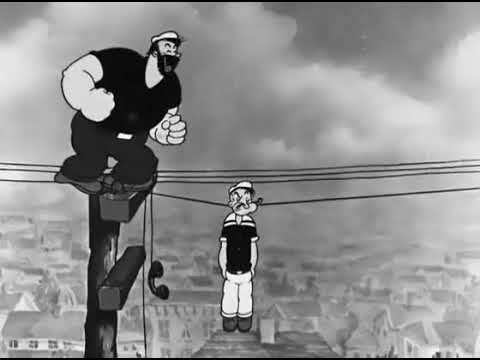 10 a.m. Popeye: Hold the Wire (1933). Tonight! 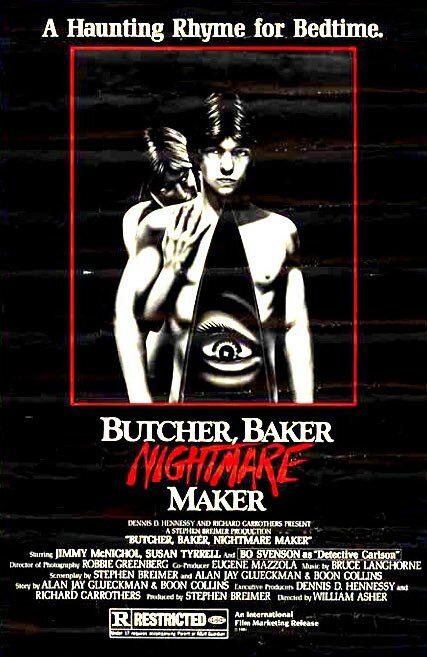 Starring one of our heroes, Susan Tyrrell, it’s the premiere of BUTCHER, BAKER, NIGHTMARE MAKER (1981) at 2:30 am east / 11:30 pm west! I love Butcher Baker Nightmare Maker so much. This is full on unmitigated and uninhibited Susan Tyrell madness. I own the blu-ray and it still may never leave my DVR. 4:45 a.m. A Dancer’s World (1957). 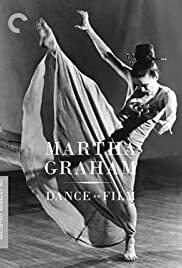 Documentary with Martha Graham. It was incredibly underground and deserved it's rating and rep as a video nasty but Susan Tyrrell made it a must see. Underground hit it out of the park with that one and is worth staying up for. It is pretty unsettling though. 12:30 a.m. A Soldier’s Story (1984). Good performances all around in this Norman Jewison film. 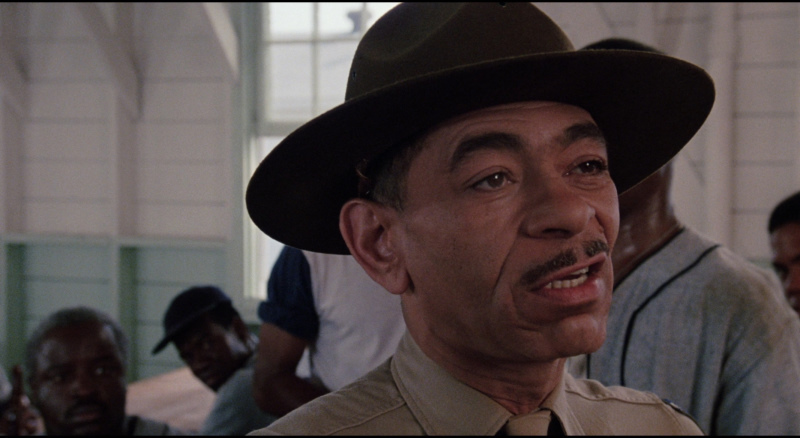 Adolph Caesar should have won the Oscar in my book. Haing S. Ngor of The Killing Fields was clearly in the wrong category. Newcomers are often put in the supporting categories even if they are the leads. 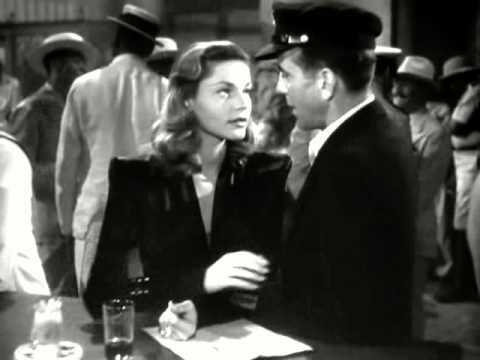 4:30 p.m. To Have and Have Not (1944). The original Bogie and Bacall. I see now that i somehow missed a lot of recommendations for BUTCHER, BAKER, NIGHTMARE MAKER- but I ended up seeing it anyway thanks to HULU. Great neo noir told from a black perspective, set in 1948 LA. Denzel Washington's charm carries the day as Easy Rawlins, down and out and in need of a job, who gets hired by a hood to find a woman. Sounds simple enough? You know it never is. Don Cheadle steals every scene he's in as Easy's psychotic compatriot, so crazy, at times, that he might even turn on Easy. An atmospheric period piece that deserves to be better known. 5 a.m. 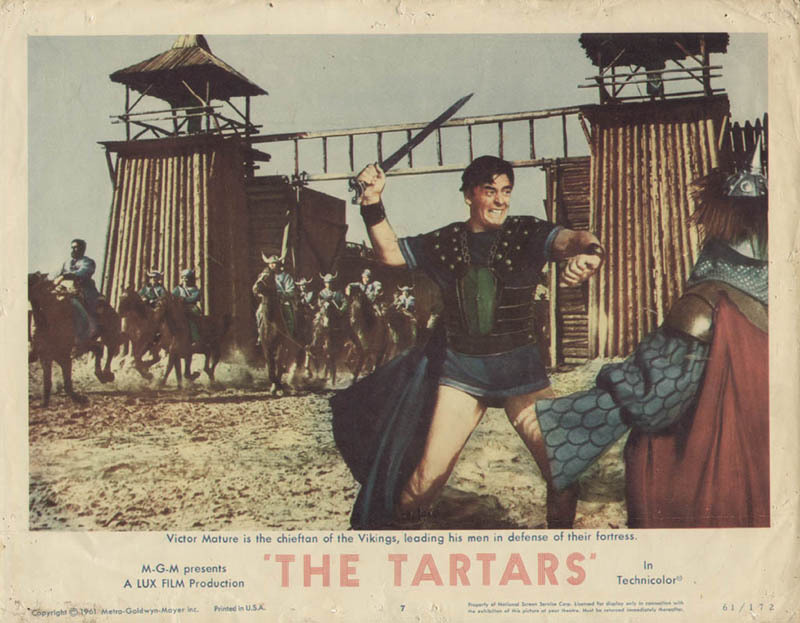 The Tartars (1961). Victor Mature goes on the rampage as Vikings steal the secret sauce. I forgot to record it! I guess no great loss then. LOL. Another film I forgot to record.